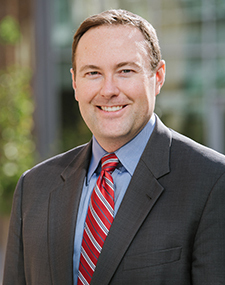 Dr. Aaron R. Brough is an associate professor of marketing at the Jon M. Huntsman School of Business at Utah State University. He received a bachelor's degree in Business Management from the Marriott School of Management at Brigham Young University and an M.S. and Ph.D. in Marketing from the Kellogg School of Management at Northwestern University. Dr. Brough currently serves on the Editorial Review Board of the Journal of Consumer Research and was recently recognized by the Marketing Science Institute as a 2017 MSI Young Scholar. He also received the 2017 Faculty Researcher of the Year award from the Jon M. Huntsman School of Business. His research, which examines the psychology underlying consumer behavior and decision-making, has been selected for publication in leading marketing journals, including the Journal of Consumer Research, the Journal of Marketing Research, and the Journal of Marketing. His work has been featured in popular media outlets such as TIME, TODAY, Forbes, The Washington Post, and the Harvard Business Review. In addition, he has written several teaching cases and has served as an expert witness in trademark litigation. Prior to joining USU, Dr. Brough was a faculty member at Pepperdine University. Before pursuing his doctoral studies, he gained management experience as a senior consultant for a Boston-based strategic marketing research and consulting firm serving Fortune 500 companies from various industries. His clients included American Express, Coca-Cola, Disney, IBM, Microsoft, and Novartis. Dr. Brough enjoys reading, chess, hiking, racquetball, and spending time with his family. Brough, Aaron R., James E.B. Wilkie, Jingjing Ma, Mathew S. Isaac, and David Gal (2016), “Is Eco-Friendly Unmanly? The Green-Feminine Stereotype and Its Effect on Sustainable Consumption,” Journal of Consumer Research, 43(4), 567-82. Isaac, Mathew S., Aaron R. Brough, and Kent Grayson (2016), “Is Top 10 Better than Top 9? The Role of Expectations in Consumer Response to Imprecise Rank Claims,” Journal of Marketing Research, 53(3), 338-53. Isaac, Mathew S. and Aaron R. Brough (2014), “Judging a Part by the Size of its Whole: The Category Size Bias in Probability Judgments,” Journal of Consumer Research, 41(2), 310-25. Brough, Aaron R. and Alexander Chernev (2012), “When Opposites Detract: Categorical Reasoning and Subtractive Valuations of Product Combinations,” Journal of Consumer Research, 39(2), 399-414. Brough, Aaron R. and Mathew S. Isaac (2012), “Finding a Home for Products We Love: How Buyer Usage Intent Affects the Pricing of Used Goods,” Journal of Marketing, 76(4), 78-91. Brough, A., Chernev, A., (2012). When Opposites Detract: Categorical Reasoning and Subtractive Valuations of Product Combinations. Journal of Consumer Research, 39:2, 399-414. Brough, A., Isaac, M.S, (2012). Finding a Home for Products We Love: How Buyer Usage Intent Affects the Pricing of Used Goods. Journal of Marketing, 76:4, 78-91. DeTienne, K.B, Seawright, K.K, Brough, A., (2005). Cost-Effective Service Recovery: Knowing Which Customers to Keep. International Journal of Applied Marketing, 1:3, 1-24.